The meeting of the Academic Council of the Institute of Mathematics of the National Academy of Sciences of Ukraine will be held in the conference hall on Tuesday, June 12, 2018, at 10:00. The meeting of the Academic Council of the Institute of Mathematics of the National Academy of Sciences of Ukraine will be held in the conference hall on Tuesday, May 15, 2018, at 10:00. The meeting of the Academic Council of the Institute of Mathematics of the National Academy of Sciences of Ukraine will be held in the conference hall on Tuesday, January 16, 2018, at 10:00. The meeting of the Academic Council of the Institute of Mathematics of the National Academy of Sciences of Ukraine will be held in the conference hall on Tuesday, December 19, 2017, at 10:00. 1. 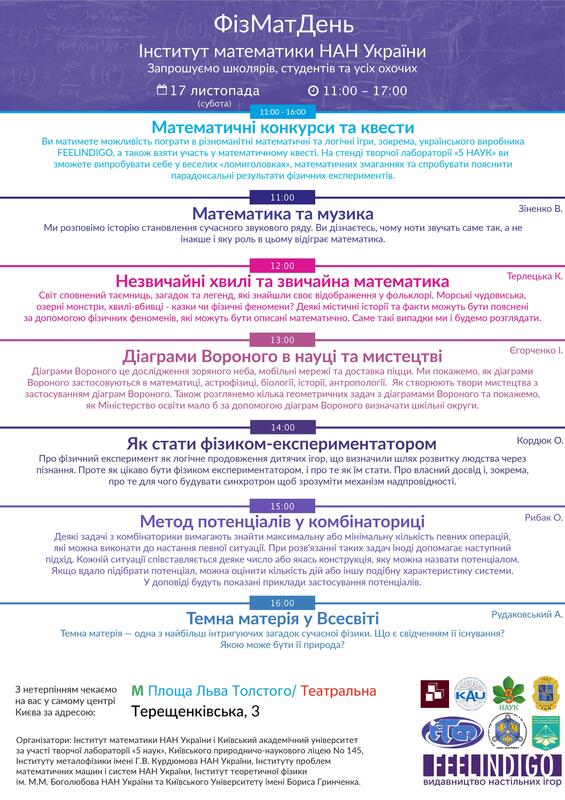 About the most significant results of fundamental and applied researchers of the Institute of Mathematics of the National Academy of Sciences of Ukraine for 2017 (reported by the director of the institute, academician of the National Academy of Sciences of Ukraine Anatoliy Samoilenko). 2. About the nomination of candidates for academicians and correspondent members of the National Academy of Sciences of Ukraine. - a Research Assistant of the Department of Mathematical Physics. 4. Scientific and organizational issues. On November 22, 2017, was held the meeting of the director of the Institute of Mathematics NAS of Ukraine, Academician of the National Academy of Sciences of Ukraine Professor A.M. Samoilenko and the rector of Kyrgyz-Turkish University "Manas" (Bishkek, Kyrgyzstan) professor S. Balzhi. The meeting also attended the deputy director of the institute on the scientific work, doctor of physical and mathematical sciences O.V. 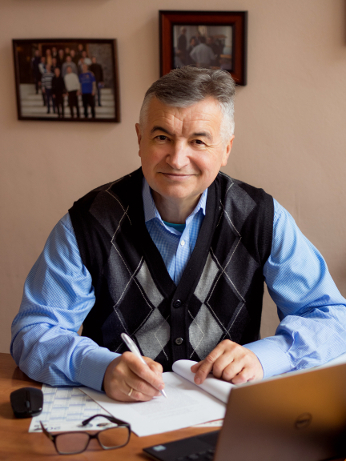 Antonyuk, chief scientific Institute staff member, Academician of the National Academy of Sciences of Ukraine Professor I.O. 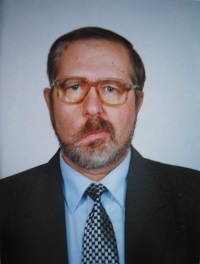 Lukovsky, Head of Laboratory, Corresponding Member of the National Academy of Sciences of Ukraine Professor O.A. Boychuk, leading researcher of the Institute, Doctor of Physical and Mathematical Sciences A.S. Serdyuk and Professor of the Kyrgyz-Turkish University "Manas" F. Abdullaev. There were discussed the academic and pedagogical issues of cooperation of the Institute of Mathematics of the National Academy of Sciences of Ukraine and Kyrgyzstan-Turkish University of Manas. The meeting lasted in a constructive atmosphere and concluded by signing the Memorandum of Understanding and exchanging of memorable gifts. On Wednesday, February 4th, at the Institute of Mathematics of NAS of Ukraine there was held the expanded meeting of the Editorial Board of the Journal "Nonlinear Oscillations". Editor-in-Chief: Acad. NAS of Ukraine A. M. Samoilenko (Ukraine). Assistant Editor-in-Chief: Corr. Member NAS of Ukraine A. A. Boichuk (Ukraine). Editorial board: Acad. NAS of Azerbaijan Fikret A. Aliev (Azerbaijan), Acad. NAS of Ukraine I. A. Lukovsky (Ukraine), Acad. NAS of Ukraine V. L. Makarov (Ukraine), Acad. NAS of Ukraine A. A. Martynyuk (Ukraine), Acad. NAS of Ukraine M. O. Perestyuk (Ukraine), Prof. Miklós Rontó (Hungary), Prof. V. H. Samoilenko (Ukraine), Prof. V. I. Tkachenko (Ukraine), Prof. Sergei Trofimchuk (Chile). - posting PDF-files of articles published throughout previous years for free on-line access. Вітаємо ШАРКОВСЬКОГО Олександра Миколайовича з присудженням звання "Почесний доктор (Doctor Honoris Causa) Сілезського університету у м. Опава"
National Academy of Sciences of Ukraine and the Polish Academy of Sciences, in 2015 - 2017 рр. March 17, 2013 marks 85 years of Corresponding Member of NASU Professor Y. Y. Trokhymchuk.